NOTICE: This is an updated mirror copy of the page that used to be located at http://www.frmug.org/~archer/Breakdown.html. I have been adding information and correcting mistakes from the original. Please note, if you wish to copy this guide anywhere, you must send me an email asking for consent. The reason for this is that if I have made any mistake and want to fix it, I don't want to have to contact everyone that has made a copy and nag them until they fix it. If you do see any mistakes feel free to email me at Rob.Meyer1@gmail.com and I will get to it as soon as possible. Breakdown in Communications is an over-arching quest, tied into the lore and progression across Taelosia. As a rough outline, you are supposed to figure out what happened to the scouts the Wayfarer Brotherhood sent out to Taelosia, why they aren't reporting anymore, and what they discovered. Each zone has a part of the quest associated with it. You will need to do all the zones to gain your progressive reward. The zones may be completed apparently in any order, but the reward is tied to a specific order. If you have completed steps #2 and #3, you will not get anything until you have also completed step #1. Note that some of the steps are single-group doable (in fact, several occur in instances or areas where you can only bring a single group), while others require full-blown raids, like the Ferubi one. Thanks a lot to the fine folks at The Safehouse for this document's contents, as well as Lucy & Allakhazam for more details on items and mobs. Fezbin Fizzles will only talk to you if you're 65. He's located on the ship in Abysmal sea, in the hall where Morden Rasp resides, at loc -35,+60. Fezbin Fizzles focuses his attention on you. This lenghty text maks the beginning of the quest. You are now flagged as being on the quest, and can now talk to the three Wayfarer mentioned in the text: Taminoa Bialu, Vaifan Cogswin, and L`diava Rexxen to get the appropriate instructions. If you mess up a specific part, saying "I need to rescout xxxxx" where xxxxx is the zone name (Qinimi, Barindu, and so on) to Fezbin will restart that part (you need to go again to the appropriate Wayfarer to get flagged for that quest step), until it is completed (you get the shard). If you lose the items obtained during the overarching quest, a simple hail will give it back, whether you're at step #1 or #14. This is important for the augment crystal, which you can only destroy by dissolving (for now) if you used it before completing another step. Dissolve the crystal from where you put it, and talk to Fezbin to get it back for the combine. Please note that a lot of the quests will involve having to hold on quest containers, which a lot of people hate. Also, turn-ins rely on flags. Do not attempt to do any turn-in of a quest piece unless you are appropriately flagged. You have received Vaifan's Experimental Sealer and the starting Socketed White Crystal. The Crystal needs to be combined with each gem shard you get at each step of the quest, in the correct order. You will also need to buy Vaifan's Clockwork Gemcutter Tools for the combines, which you can find at a jewelry merchant on the ship. Taminoa Bialu is located in the same area as Fezbin. So, Kreshin the scout seems to have been caught. You first need to confirm this, and what he was doing at the time. The Kreshin's Journal Page from Qinimi is a ground spawn that looks like a book with only its spine showing. Follow the right zone wall coming from Natimbi, until you get to the 2 rows of buildings. Just before them is a rock/rubble. The page spawns on top of that. Turn the page in, and you are directed to a prisoner, Councilman Sislono Nislan. Start by handing Sislono the journal page you got back. Councilman Sislono Nislan says 'Yes, I have seen this and others like it before. While we do not understand where it comes from, we have come to the conclussion that these strange glyphs express somthing important to your people. These particular glyphs were made by the small one they hold captive in the courtroom. If you wish to help him, you will have to retrieve the [stone of entry]. Only with this stone can you enter the courtroom and help the one who calls himself kreshin. With that key, a group gets to attempt to save the scout from execution. Think Plane of Justice trials. 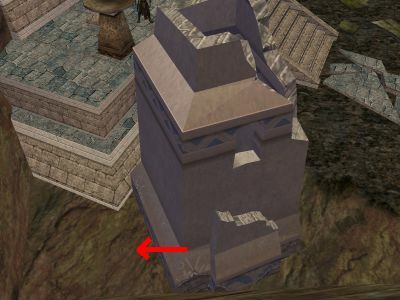 You need to make your way to the temple on the south side of the zone, all members of a full group must be standing on the pedestal inside there (non invisible), and the person with the Stone of Entry has to say "I wish to enter" while holding the Stone on his/her cursor. There are a couple mobs which you must clear. The trial begins with 3 mobs which aggro right as you arrive in the event area. Every time you defeat one triplet, the next triplet comes live (just like the Trial of Execution, except the mobs are pre-spawned, just inactive) once all corpses are looted (apparently, if you don't loot, the next wave stays blocked). After 3 waves, the boss and his 2 guards become targetable. After the boss goes down, the executioner Xocik spawns and has to be killed (the guards may still be live). You only have a limited time to kill everyone (six minutes). After the timer runs out, you get teleported out again, assuming you are not dead, and a zone-wide emote announces the execution of Kreshin. If you are dead, there is Besana the Gravedigger in the zone who will summon your corpse out for free (access to the corpsemaster isn't that easy, though, you will need invisibility to run to the corner) if you say that "I wish to live again". Xocik writhes in pain as his body falls to the floor. Your valiant efforts have resulted in the rescue of Kreshin. Hand the Stone of Entry to Kreshin. You get the stone back, as well as a Writ of the Magi. Note that multiple persons can hail Kreshin and do the turn in. Time to go back to Taminoa. Taminoa hands you back the Writ of the Magi (slightly altered), which must be brought to Sislono Nislan. You need to be in a raid of 3 groups for the next part. Your raid will be teleported in the enclosed dome in the center of Qinimi to fight another ring event. You now have 27 minutes to win. Kill all the 3 ratuks within 10 minutes or the first sacrifice goes thru and you get slaughtered by the stone golem they created. 4 snakes. Only one of them is your target, the others are decoy and will despawn and respawn. Loot Xictic's Bloody Robes as the proof Taminoa wants. 3 such drop per raid. So, you are to find what happened to Talwin. Talwin's Journal Page 1 & Page 2 drop from random mobs in Barindu. Collect the two pages, and hand them to Opury Foop. It seems Talwin was becoming friend with one of the slaves, Proteri Amari. You need to have Warmly faction to the Nihil to advance in the dialog. You get a no-stat Simple Stone Band as a token. Kunimi Falade is on the east side of the hanging gardens, but you need Ally faction to turn in the ring. At that point, turn in the ring as proof of your bona fide. Turning them in and Kunimi will cunningly prepare a new poison. Kunimi Falade takes the ingredients and gets to work. Within a few minutes, she produces a viscous green liquid. Plucking a bunch of fruit from the nearby plant, she coats the fruit in the poison. Kunimi Falade says "That should do it. I can't be positive that this will do more than give Ixvet an upset stomach, but we can hope. Please take this to Proteri Amari. You get a Poisoned Fruit which you are supposed to bring back to Proteri Amari. You get a different Poisoned Fruit back (if you turn in the wrong one, you'll need to restart from the beginning). This one goes to Abena Taifa in theory. Alas, she has run into a snag, and you'll have to find help somewhere else. So, will Chiaka Lerato help? A look of astonishment flashes across Hamisi's face. 'You've seen my sister? Is she ok? Where is she? Wait, there will be time to talk later. For now, you must return to her immediately. Our mother has been worrying herself to death and has grown very sick. I fear she won't last much longer. Please, take this shawl to my sister. It's our mother's. My sister will recognize it and know what it means. May the ocean speed your journey! You get a Tattered Shawl to give to Chiaka. You get Chiaka's Serving Tray. Chiaka then starts going out to Ferubi zone. Now that Ixvet has ironically lost her most dependable servant, maybe the next one will be more suitable to the plot. Wait until Ixvet is up and go back to Abena Taifa. Hand her the required Serving Plate and Poisoned Fruit that you got from Chiaka. You get Chiaka's Collar of Liberation as a (small) reward. Abena then walks to the Ikaav's room. If you do nothing, she gets killed there, because one of the Aneuks Controllers will taste the poison before the boss gets to eat it. Kill Ixvet Pox and Talwin's remains, a fallen skeleton in one of the buildings become targetable. That's a chest, similar to those in Lost Dungeons of Norrath. Knock it down (attack) to get some copies of Talwin's Final Report. You do not need the poison, though. The poison will lock down the Colossus of War in the Ikaav's room, making the fight easier. You can though it out and take out all in Ixvet's room and loot the remains afterward. You do need to go thru the dialogs however, to get the appropriate intermediate flags. Bring Talwin's Final Report to Taminoa. Note that Reyna is also involved somehow in the quest for the mask from the Cragbeast Queen in Natimbi, but that's entirely separate from here. So, you are directed to two slaves, Turlini and Namosa, who will not trust you at first. This is an entire quest, which results in its own rewards, even if you're not pursuing the overall quest. Brace yourself, this is going to be pretty long. You can gain faction by relentlessly killing some of the mobs that give off the required faction increase (not all do, and the faction is rumored to be quite small). You can also help some of the slaves. This is how Reyna did it. There are some slaves that are hungry and thirsty, located in the first building to the left of the Qinimi zone line. They require some player-made foods and drinks from native Taelosian products. Each slave will tell you what it wants (sometimes, they want something other than what is specified). Turn 8 of these for faction gain to the appropriate slave, and the slave is sated and won't accept more (you need to wait for them to respawn as hungry/thirsty ones). You can also turn 4, 3 then 4 to get 11 faction hits instead of having the slave despawn after 8 turns-in (oddly, 3 then 4 can result with the slave being sated at times). The respawn is 30mn, and the type of Yunjo that pops is random, either Enslaved Yunjo, or one of the 5 ones. The higher the quality of the food/drink given, the greater the faction improvements. You need to be seen Warmly to talk to the two slaves. Note that the Taelosian Morphemic Staff that you can /claim helps with that faction! If unsure of what to do, go check the fine folks at EQ Traders for various recipes. This is moderately easy. You merely have to make the trip back and forth between the various protagonists of the story, helping prevent suicide, and giving hope to the Yunjo. Pandula Bubundu's niece, Namosa Bubundu has been enslaved, and Pandula is anxious to know of her fate. Give Pandula the Scuffed Signet Ring you got from Namosa. You receive Pandula's Final Words. Bring these to Namosa. Turn in the Token of Understanding to the Councilman Tentric. You receive a Symbol of Faith. Bring it to Pandula. Finally, give Namosa the Drakelily you received. You receive a Crescent Stone Amulet, whose use is yet unknown. Turlini wants to be free. Who wouldn't. Jagged Silvery key: A dessicated corpse is located right across the frist bridge from Riwwi zone in from Qinimi. Approaching triggers 7 stonemites, and the key spawns at the bottom of the canal once they're dead. Scored Silvery key: Talk to Inibi the Confused in Riwwi (jail cell in the lower Arena), and ask "Please". If you have a high begging skill (151 or greater), she'll give it to you. Place these 10 keys in Turlini's Key Bag, combine and give the Sack of Silvery Keys to Turlini. Once you have the flag from Turlini, you can start a series of increasingly difficult fights in the Coliseum. You will receive a bag, typicalled named Satchel of the xxxth battle (going from first to tenth). This will also trigger one or several mobs coming into the Coliseum. Kill the mob(s), loot its/their head(s), and place them into the bag to combine into a Blood-Soaked Satchel (10 different versions, one for each battle). Turn in the bag to Turlini and you will get an upgraded necklace, which you can then turn in to the slaves for the next phase. The main delay consists of going back and forth between the arena and Turlini's cell. Multiple people can trigger their own encounter one after the other, then the entire group take a trip to Turlini, hand their satchels, and then go back for the next set of encounters. Turlini sometimes spawns a bit to the side (like in water next to his haunt), so if he isn't right where you think it is, go check around. Each encounter is a single group event. Anyone who aggros from the mob outside of the group that did the turn-in causes the Officiators to call it unfair, and they get ported to the zone line. If you fail at one stage, you have to restart from wave 1 the series of events. After you've finished the diversion, Turlini has some good news and bad news. Turlini shouts with joy. 'Aha, you've done it! Thanks to your distractions in the coliseum, the Muramite legion is engulfed in utter chaos. We will take this opportunity to escape. You have saved us all. Oh, I almost forgot! Before I go, take this as a final gift from the Yunjo. It holds much strength, just as you do. Unfortunately I have bad news. Something I could not tell you until now. Reyna passed on a few days ago. Her last request was that I give this to someone who had proven his or her worth. You have more than done that. I wish there were more I could do, but we are masters of shaping stone not life. You get the final reward of the Arena diversion outlined above, and Reyna's Scout Report. Hand in the report to Taminoa. You have successfully completed a section of the Taelosian City. You should get a Tuned Farstone now. This is supposed to help get Rondo back home, much like the Thurgadin Gate potion was used to get the hapless scout back to Thurgadin during the shawl quest. You have to get four NODROP weapon parts. Prepare a raid now, and turn the 4 weapons to Smith Rondo. This will attract the attention of the Weaponmaster itself. Kill Weapon Master Vtiink Vzaan and his apprentices. As you kill its master, Smith Rondo finally succumbs to the transformation pushed on him, and turns aggro. You now have to kill him. After defeating him, his ghost spawns. Hail the ghost to receive a flag to bypass the first 4 trials in the sewers for the zone progression (it has been reported that merely killing the Weaponmaster alone is enough to allow you the bypass, even though you didn't get a flag). If you have also completed the quest steps so far, you will also receive Rondo's Report. Any number of reports can be received at a single raid, as long as you are flagged has having handed the previous report from Rondo in Abysmal sea. The raid can be triggered whether or not anybody is doing the quest at the moment. You do need to be in the raid that triggered the Weaponmaster to get the appropriate flag/report, otherwise Rondo's spirit will ignore you. Turn in Rondo's Report to Taminoa. You have now finished the city scouting. Reward: A Green Colored Gem Shard. Vaifan Cogswin is also located in the same area as the previous quest givers. Time for a little collect again. Never trust a gnome. You knew there was some newfangled thingy to be had, did you? All the named mobs in the various sewers areas sometimes drop the requisite part (and only them). You need to kill 20+ mobs in each zone before the nameds or their PH start to spawn. Upon combine into the Broken Clockwork Output Gearbox you received, you get a Repaired Clockwork Output Gearbox back, as well as the Mangled Report you were looking for. Turn the report in to Vaifan for the reward. As you fit each piece into place the small device comes to life. Whirring and clicking, it begins to shake in your hand as a mangled piece of paper slides out of an opening on the front. Then, just as quickly as it started the device goes dead. The repaired gearbox will be used in step #7b. Place the 4 items in the finkenheimer, and combine. You do need to have the quest assigned to you by Vaifan Cogswin, or your combine will give you no result (and the items still be destroyed). Vaifan Cogswin says, "I can't believe you did it. Not a bad job is I do say so myself. You may have a future in tinkering my young friend. Now, if you will give me one second to change a few things and rip this part out, adjust this here, add a couple of these, and there you go, a nice new clockwork frame. Now we just need to collect the rest of the pieces to rebuild him. Oh, and before I forget, here is reward for helping me out. Let me know if you wish to explore any of the other areas by asking me about them." Flag: You were successful in helping Vaifan complete her report of the Vxed mountain area. You also get an Inactive Clockwork Scout Module, for "the rest of the pieces to rebuild him" as she says. This goes into step #7b. Little cocky gnome, is she? At this point you received a Depleted Clockwork Power Pack to assemble the power cells. The cells are rare drops from the mob mentioned by Vaifan. Combine the 5 power cells, and you will have a Fully Charged Power Pack. Give it to Vaifan. Each battery slides neatly into place as the power pack emits a low whine indicating it is powered up and fully operational. Flag: You were successful in helping Vaifan complete her report of the Tipt Mountain pass. You also receive an Extended Life Power Pack, a Power Pack Adapter and Clockwork Scout Assembly Instructions. The dialogs in part #5, 6 and 7 are those you get when completing each step without completing the others. When you complete the last step, the dialog changes. You must reassemble the Extended Life Power Pack, the Power Pack Adapter and the Repaired Clockwork Output Gearbox into the Inactive Clockwork Scout Module container. This combine works only in Vxed or Tipt, as indicated on the book. With the final piece in place, the clockwork scout's eyes light up as it comes to life. Turn in the report to Vaifan back in Abysmal sea. Flag: You were successful in helping Vaifan complete her report of the sewers and mountain areas. Fezbin will be pleased, but there are others who need your help. Find L`diava Rexxen in the same area as the others. Xounii's Journal Page 1 drops the shapeshifting wanderer. It seems that Xounii got so deeply shapeshifted she forgot she wasn't a beast in the first place. You will identify her because she changes shape according to whatever area she goes to (become an insect near the insect part, become a cragbeast near them, and so on). Upon bringing back that page, you are told to find the rest of the journal, which drops from the various bosses of the zone. Bring the 4 parts to complete the report from Yxtta and get your shard. Combined with A Dirty Green Gemstone, yields A Translucent Green Gemstone (no longer an augmentation). Find Kevren Navalat, and hand him the note from L'diava. If you handed the cloak before you finished all of the first 3 single-group Ikkinz trials (and turned the key items to Kevren Navalat), you will be bugged, and Kevren will not accept the letter. In that case, you will need to reset the entire Kod'taz step, acquire a new cloak, and redo the turn-ins. You have completed the trial at the Temple of Singular Might! You have completed the trial at the Temple of Twin Struggles! You have completed the trial at the Temple of the Tri-Fates! You've returned four relics from the Martyrs Passage! You've recovered important glyphs from the Temple of the Damned! You were able to recover a rare artifact from the Grand Summoner's goons in the Summoning Circle! You've recovered the Sliver of the High Temple! Congratulations! Say "Singular Might" to Kevren and then head to the middle temple to the south. Gazak Kleikek is the NPC required to start the expedition, he is a monk feigned death just west of the temple entrance. The trial is very straight forward trial up until you get to the Diabolic Destroyer. She is in the first room on the right along the main hall. You need a strong tank, cleric and bard/enchanter for this. NOTE: The Diabolic Destroyer will mem blur if the warrior uses defensive. Upon engaging the destroyer, three adds will spawn. Throughout the fight, more adds will spawn in groups of 1-2. These need to be trained or mezzed. Once the Diabolic Destroyer dies, Cruel Illusion will spawn (a rather trivial encounter in comparison). Kill the illusion and loot the Ruined Pendant of Might. Hand that back to Gazak to obtain the first line of progress text. Finished!- You have completed the trial at the Temple of Singular Might! Say "Twin Struggles" to Kevren then head to the far south temple and find Maroley Nazuey who is hidden behind some rocks just to the west of the temple complex. This will start the expedition. This trial requires two strong tanks, a cleric, a slower (enchanter preferred), a second healer (druid preferred), and DPS. The final named are in a pair in the first room on the left following the main hall. The named themselves start out unkillable, but they will cast their fairly nasty AoE's on you once they see you. Around the named are nine servants who are rooted and won't attack you, these mobs add power to the main named and must be killed to spawn them. Each servant has a different "job", be sure to kill off the ones with damage shields first, leave a blue-con mob till last so you can kill it easy to activate the nameds. Once the named are active, burn down one as fast as possible, then finish the 2nd off. They have huge DPS, so be ready. 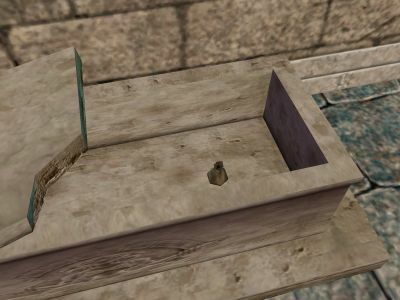 Once both named are dead a box will spawn in the south cubby, /open the box to loot the Stained Stone Chalice and hand that to Maroley to obtain the next line of progress text. Finished!- You have completed the trial at the Temple of Twin Struggles! Say "Tri-fates" then head to the Northern most temple, Kenra Kalekkio is the npc you're looking for, she's to the East of the main temple complex. Talk to her to start the expedition. Group make up for this is fairly standar: Cleric, warrior, slower, second healer useful, then DPS. The final named are located by following the main Ikkinz hall way all the way down the first ramp, and into the door with three alcoves. There is one named located in each alcove within that room. 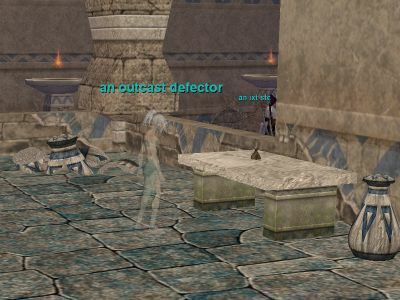 Once a named is agro'd it will spawn about five non-targettable archers, each, who will ping away at anything they can. You must kill the three named one at a time, working from North to South. The thing to remember is that the named will pick up on the agro list of the previous named, so on the second and third named your healers will start with a lot of agro right off the bat. It's suggested that you save all disciplines on the first named, since failing him has no consequences, where as if you fail the second or third named and there is nobody left in their room, any previously killed named will instantly respawn. Once he's dead I suggest you camp out your cleric so that she looses agro on the archers. Also suggested is your tank taunt/etc to get main agro BEFORE doing any damage, otherwise the named will start summoning immediately. Have the MT blow riposte disc on #2, and melee burn their DPS discs. Then you can rest up as needed for #3 who I feel is a lot easier. Once the 3rd named is dead several boxes will spawn on the East wall, /open them to find the Thrice-Notched Arrow Remains. Hand it in to Kenra to obtain the next progress text. Finished!- You have completed the trial at the Temple of the Tri-Fates! The following tasks must be completed in order. You'll need to talk to Kevren and get a portion of text in your Progress Updates (the "finished!" messages) before you attempt the turn-ins that he wants or he is likely to eat your parts. You will need to collect four Relic of the Martyr. They are all lore and have the same name, however, have different lore messages. All four can be found as groundspawns, and all four can also be found as drops from ghost mobs in the martyr's passage and in the temple right at the end of it. It is easiest (for most classes) to bring a wizard friend, and have him give you a TL box. Run in, grab the groundspawn, then click yes for the TL. Repeat three more times and you are set. The locations of the groundspawns are as follows. On the table in the left hand room inside of the temple. Loc = -1031, 1230, -423. As you enter the temple the Relic is just to your right on box . Loc = -1088, 1168, -419. Relic inside of the coffin in the far right little hut. Loc = -1686, 1269, -380. Facing the temple at base of the steps, to your left, behind the little hut with a goat in it. Loc = -1316, 1285, -428. Finished! - You've been commissioned to investigate the Martyrs Passage! Hand him the 4 relics, all at once. Finished! - You've returned four relics from the Martyrs Passage! Next, you will need to kill mobs in the passage until a Parchment of Flesh drops. Loot it and give it to Kevren. Finished! - You've returned valuable information as to why the Muramites are in the Martyrs Passage! The temple Kevren speaks to you about is the one directly south of Kevren (closest temple to the zone in.) Clear into the basement and /open the pile of bones. There is no need to clear the mobs in the small rooms to the left and right before the basement. When you /open, several goats and aneruks will spawn. Its easiest to pull them all out and have an enchanter mez them. Kill one at a time. Each one of the four main mobs will drop 6 Glyph of the Damned and the boss mob will drop an item (175ish hps.) Loot the four different Glyphs. Hand all of them to Kevren so you can get a character flag, he will give them back. Finished! - You've recovered important glyphs from the Temple of the Damned! Now head over to Tublik (he hangs out at the 3 way intersection by Yxtta and the Martyr's Passage. Talk to him about the temple of the damned and get the bag from him. It is an eight slot container. Next run around Martyr's passage with invis and pick up four of the Pile of Dust. Stick all four Glyphs of the Damned and all four Pile of Dust in the container Tublik gave you and combine. Give the result to back to Kevren. Finished! - You've successfully translated the glyphs you found in the Temple of the Damned! You say, "think you can do"
Finished! - You've been charged with stopping the ceremony at the Summoning Circle! The Summoner Ring event is found just before entering the main Kod'Taz courtyard area where the Ikkinz raid entrences are found. Once the Grand Summoner is dead you need to loot a Grand Summoner's Glyph and hand it in to Kevren to recieve the next line of progress text. Finished! - You were able to recover a rare artifact from the Grand Summoner's goons in the Summoning Circle! Take the Sealed Confession and give it to L'Diava. Flag: You were successful in helping L`diava complete her report of Kod'Taz. Fezbin will be pleased, but there are others who need your help. Time to head back to Fezbin after completing all the steps. Flag: You have done quite well and your exploits will forever be talked about by the members of the Wayfarers Brotherhood, but don't you dare relax as there's still many more adventures and hidden treasures out there waiting for a hero like you. Fezbin Fizzles says 'Where are my manners? I should have known someone as adventurous as you would be interested in this. One of our researching experts by the name of Beanalle has recently discovered some very intriguing information about the temples beyond Yxtta and Kod'Taz. Reward: A Jagged Blood Shard. Beanalle Banoam says 'Why, your stone of course. The different items you have added to it have altered its makeup so much that it is hardly what it was when you first received it. It is a powerful item that can be made even more powerful with my help and yours, but this will require the help of many and I am afraid we do not have the force to take on such a task. Do you think you would be willing to collect the four shards of power from the temples and bring them to me as you get them? Beanalle Banoam says 'Excellent! I knew Fezbin was right about you. Okay, here is what I can tell you. Qvic, Inktu'ta, Txevu, and Tacvi are the names of the temples beyond Yxtta and Kod'Taz. Within each of these you should find a shard of power. The hard part will be finding one as the Muramites are aware of the power within them and are hoarding every piece they find. If my theory is correct, you will have to combine the shards in a particular order before the stone will become attuned with another. 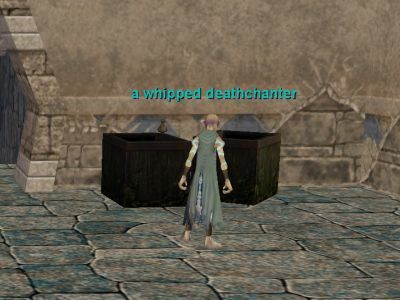 You should retrieve the shards from the temples in the order I said before -- Qvic, Inktu'ta, Txevu, and Tacvi. Give each shard to me one at a time so that I can remove and condense the magic for you and then you can combine them in the special sealer. Now, hurry! I am worried that the leader of the Muramites may realize he needs to get rid of these shards, before we can get our hands on them. So here you are. The next 4 steps are all about recovering the last 4 shards in each of the 4 end zones in order. This Shard of Dark Matter is the first one. It is an drop of Cynosure Kvanji (might drop up to 3). That Shard of of Dark Matter (looks like the same from Qvic, but that's a different one) from Inktu'ta is an uncommon drop from Noqufiel, the final boss of the zone. That Shard of of Dark Matter (looks like the same from Qvic and Inktu'ta, but that's a different one) from Txevu is a drop from Zun`Muram Tkarish Zyk, the final boss of the zone. Due to a bug, it seems the combine order for Txevu and Tacvi has been permuted. In other words, you need to combine the Tacvi piece first, then the Txevu one. Final rewards spotted on Lucy? August 24, 2005 Complete overhaul of the Kodtaz and freebe section. Added all the information regarding the Kodtaz tasks but NPC transcript still missing.